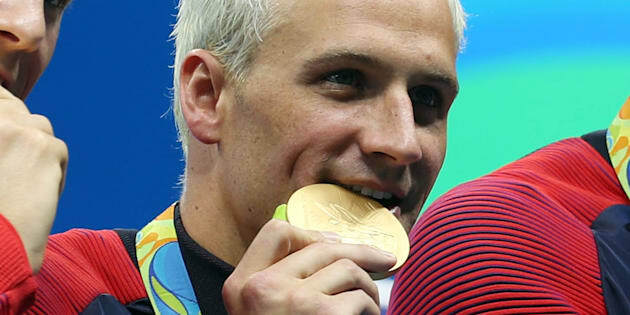 It’s official: World travelers agree that American swimmer Ryan Lochte was a jerk. As the Olympics concluded, folks departing Rio de Janeiro had one last chance to relate their feelings about the games on a marker board set up at the airport. Many used the space to express regret over Lochte’s behavior. “Sorry about Ryan Lochte” was perhaps the most popular message. The 32-year-old swimmer, who won a gold medal in the men’s 4x200m freestyle relay with Conor Dwyer, Townley Haas and Michael Phelps, left Brazil just as authorities figured out that his story about getting robbed at gunpoint was a lie. a marker board up at Rio's main airport where visitors going home's most popular message? It’s good to see that even amid the stress of travel, people can rally around a common cause.